Global Automotive Manufacturers: Strategies in Finance, Insurance, Warranties and Assistance is a report and accompanying PartnerBASE™ dataset that provides a detailed overview of the involvement and partnerships of the world’s leading automotive manufacturer groups for six key types of automotive financial service namely: finance and leasing; creditor insurance; extended warranties; road assistance; motor insurance; and GAP insurance. The groups in scope in this respect are BMW, Daimler, Fiat Chrysler, Ford, Geely, GM, Honda, Hyundai, Mazda, Mitsubishi Motors, PSA, Renault Nissan, Suzuki, Tata Motors, Toyota and VW (albeit note that the analysis also covers their China-based joint ventures, e.g. Bejing Hyundai), and the study is based on research covering upwards of 50 separate brands belonging to these groups across 40 countries, representing the world’s largest markets for passenger car sales. For each of the groups, the study demonstrates the extent to which their individual brands have arrangements for offering one or more of the six automotive financial services in each of the 40 countries and, if so, the operating models used in these cases (e.g. single external partner, multiple external partners, joint venture partner, captive partner etc.) and the identities of the partner organisations in question. 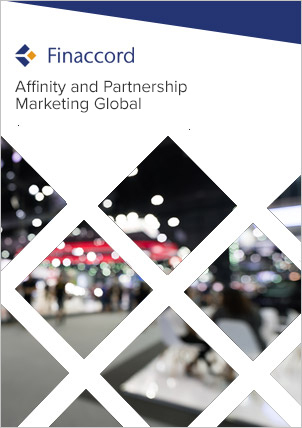 Among other benefits, the resulting analysis demonstrates which providers of the six automotive financial services have been successful in winning significant product partnerships with each group across multiple countries. over the most recent five-year period, Toyota group has generated the most profit (before tax) from its captive financial services operation among the automotive manufacturer groups surveyed, and also the highest ratio of pre-tax profit from financial services to total pre-tax profit, albeit Renault Nissan group’s net receivables have been growing most quickly.